In Atami famous as a spa town, there is “Izusan Jinja Shrine”, a shrine that is familiar to MINAMOTO no Yoritomo and Masako HOJO. There is divine favor in marriage and it is popular shrine crowded with many worshipers. 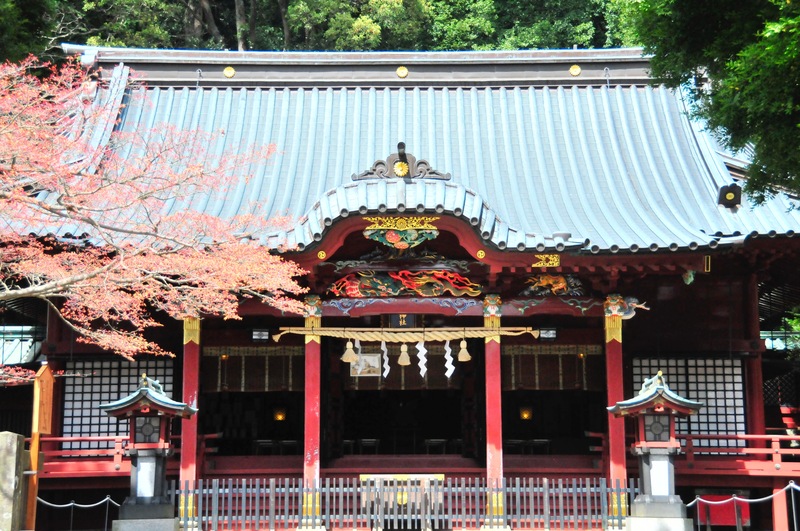 Izusan Jinja Shrine is, as its name suggests, located in Mt. Izu-no-Oyama. It is located about 170 meters above sea level, and it goes up to the shrine with a long staircase extending to 837 steps. The benefits that Izusan Jinja Shrine’s enshrined deities will give are mainly fortune protection and marriage. Besides this, it is said that there is a high divine favor in bumper crop, love fulfillment, conjugal harmony and national security. In addition, when you turn to a turning point, want to seek a turning point, or visit the next step, you will be guided by the way to go. In love aspect, there is divine favor of “marriage” that makes you meet people you should meet. 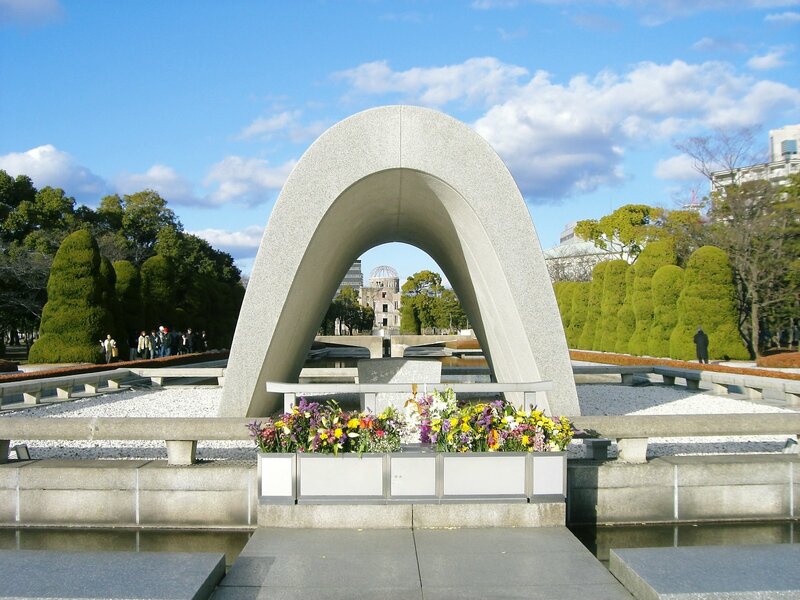 So it is a shrine that gathers popularity from young women who wish for fulfillment of love. Izusan Jinja Shrine ‘s highlight is “great view”. “Superb view” is also one of the highlights of Izusan Jinja Shrine. Many people visit here and acclaim the views overlooking Sagami Bay. The wide ocean view from Mt. 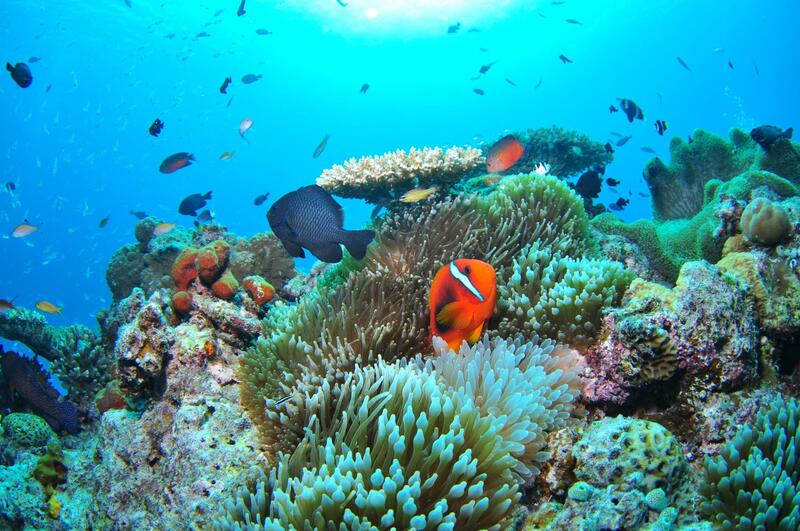 Izusan at an altitude of 170 meters is gaining popularity as it is worth going up a long staircase. A long staircase will continue until the main shrine of Izusan Jinja Shrine. 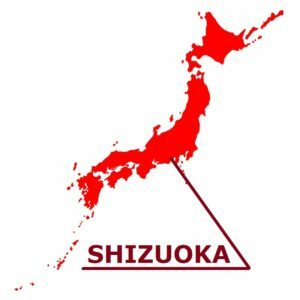 There are 837 steps from the bottom “Izuhama” to the main shrine, which shows that it is longer than “Konpiragu” (785 steps). Also, if you go to “main shrine”, after going up the stairs, you will walk the mountain road for another hour. The road is so steep that it requires considerable physical strength. However, if you get off at the bus stop just below Izusan Jinja Shrine you can get to the middle of a long stairway. Since there are about 180 stairs from there to the main hall, you will be able to go up. If you go to Izusan Jinja Shrine by public transport, it is convenient to use the bus from JR Atami station. 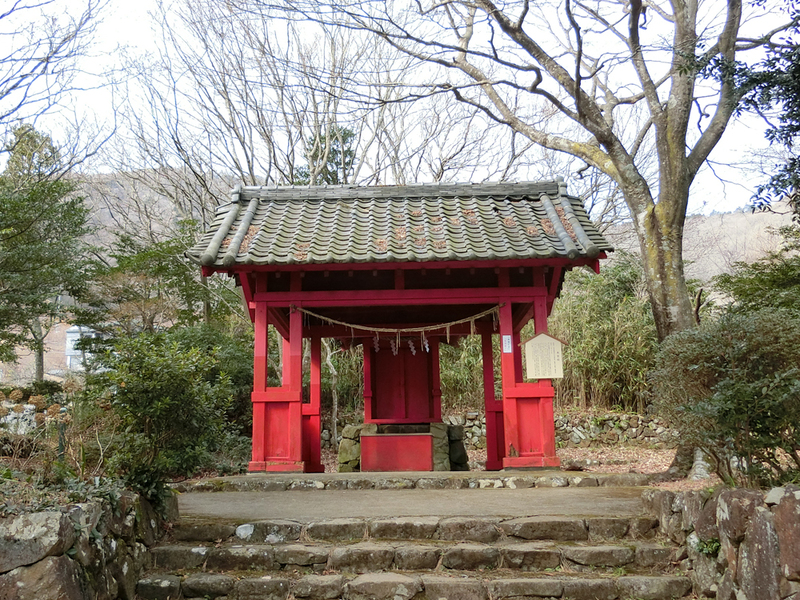 The Izusan Jinja Shrine is the shrine in the middle of Mt. Izusan in Atami. It is also known as MINAMOTO no Yoritomo, praying for the restoration of Genji and meeting his wife Masako HOJO. It is a famous place as the shrine with interests of marriage from the story of MINAMOTO no Yoritomo and Masako HOJO. In order to visit the main shrine, you have to go up the stairs of 837 steps, but you can see Sagami Bay from the precincts. Since the wish of MINAMOTO no Yoritomo to defeat the Taira family accomplished, it has been also called Genji’s guardian deity. Also, after that, this shrine has been worshiped by the warlords. The shoguns during the Kamakura period and the Gohojo clan, Ieyasu TOKUGAWA also visited this shrine. Currently, in addition to match-making, it is gathering faith as the shrine with many interests such as a cure of the illness, a thriving business. 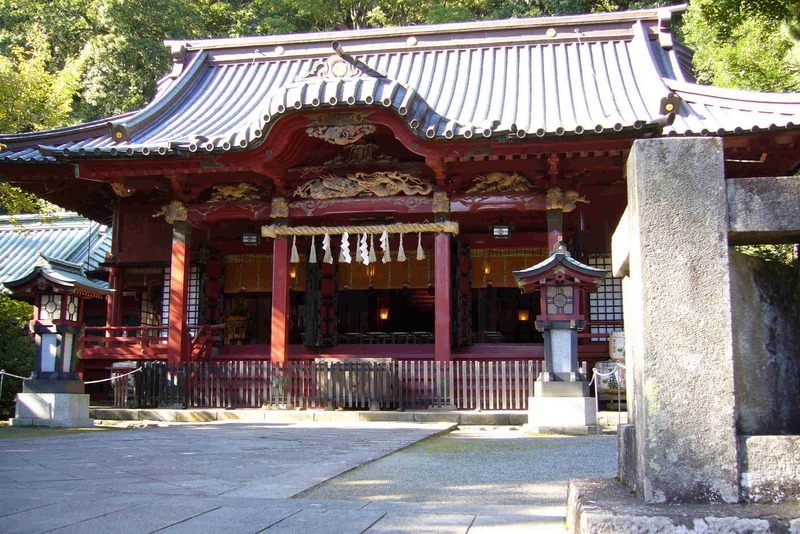 The Izusan Jinja Shrine’s enshrined deities are Ameno Oshihomimi, Takuhata Chijihime, and Ninigi no Mikoto. “Sekibyaku Niryu” (Red Dragon, White Dragon) is said to be the incarnation of Ameno Oshihomimi. 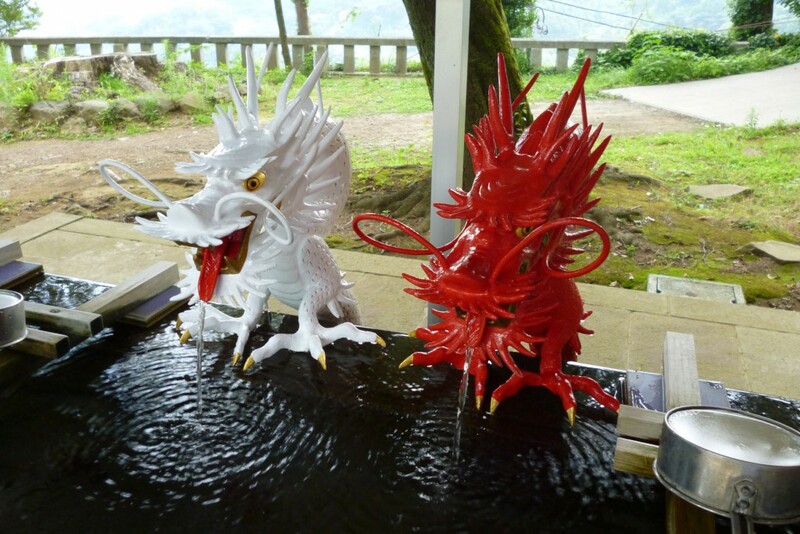 “Sekibyaku Niryu” of the conspicuous “Chozusha” (building for cleaning hands and rinsing mouth) is the symbol of Izusan Jinja Shrine, the red dragon is the power of fire, the white dragon is the guardian of a hot spring manipulating the power of water. It was considered a god of producing harmony between married couples or the symbol of marriage. 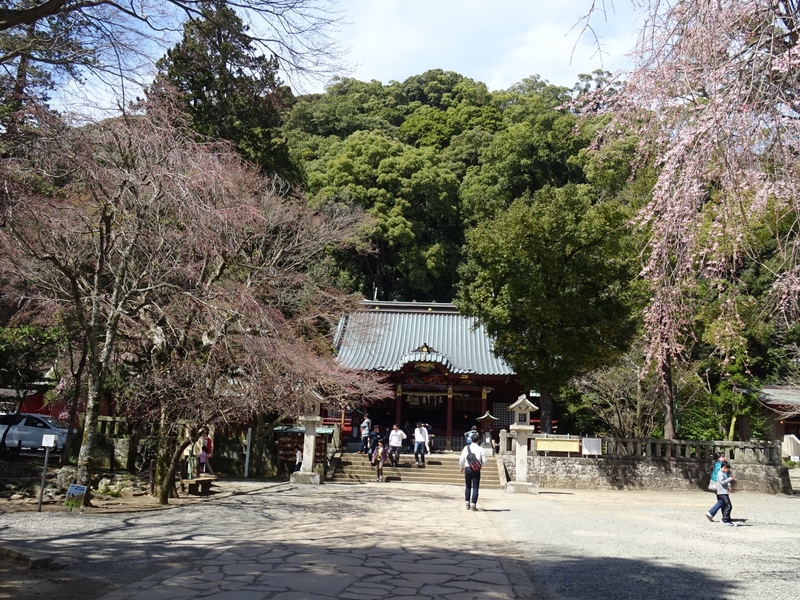 The main shrine is the small hall of worshipers which is further up the mountain path from Hakusan Jinja. In the early Edo period, there were buildings such as Gumonji-do and three torii besides the hall of worship. 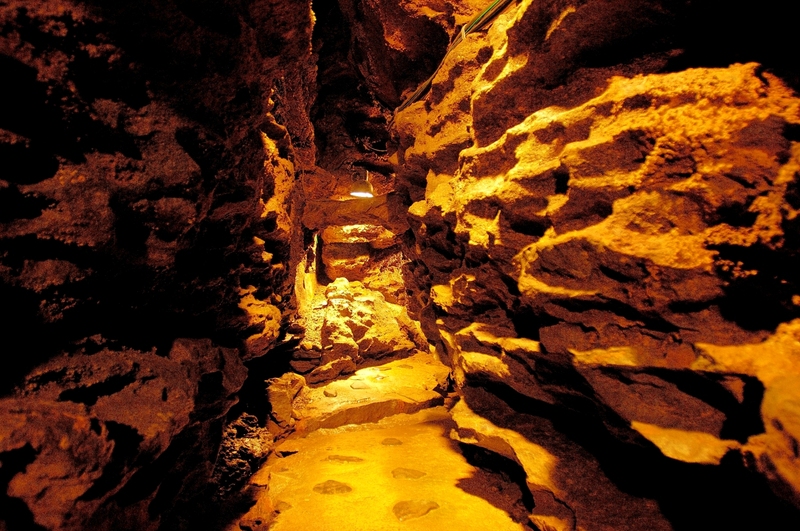 However, it was burned down in the late Edo period due to a fire. Currently there are only one torii of the stone other than this hall of worshipers.